Christine Irving’s home in the north-east of England allows her to enjoy and appreciate some of Britain’s most unspoilt countryside. As the landscape constantly changes with the seasons, she can appreciate the beauty of nature in every month of the year. 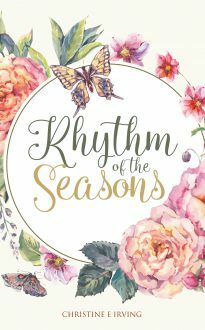 “Each season teaches us many things, and delivers inspiration and a different message each time,” as she puts it. This collection of poems has been written to celebrate this changing landscape and the new scenes that nature offers all year round.